Swim Assignment will posted the week of the race. Start: We will start the Open/Elite Division first (limited to 12 men and 12 women). The age group and relay athletes will follow the Open/Elite waves. Timing: This event will be professionally chip timed! We will be providing race day results at our results kiosk immediately after you finish your race. We will also provide a web link to results that you can share with your family and friends so they can follow your race on their web devices. Event Rules: All athletes must have an approved helmet with the chin strap fastened before entering the bike course. Your local bike shop can provide you with assistance to ensure your helmet meets approval. Drafting is prohibited on the bike course. You must keep 4 bike lengths from the cyclist in front of you. Bikers and runners must obey all traffic rules/laws and race official instructions. Roads will not be closed to vehicular traffic. Volunteers will be placed in key areas to help direct race traffic. No outside assistance is allowed and no one other than the athletes are permitted in the transition area. Swag: Here is your 2019 Swag. Click on images below to enlarge. Individuals- will complete the entire race course themselves and must choose from the categories below. Age Group- this is the general category individuals will race in unless they select one of the other categories below. Age Group participants will compete for overall, masters and age group awards. Open/Elite- this category is for our top level athletes. This includes pro athletes, elite athletes and top age group athletes. Open/Elite participants will only be eligible for Open/Elite awards. Clydesdale- this is an optional category for men 220 pounds or higher. If you select this category you will only be eligible for Clydesdale awards. Athena- this is an optional category for women 165 pounds or higher. If you select this category you will only be eligible for Athena awards. AquaBike- this category is for individual athletes who do not want to run. AquaBike participants will only be eligible for Aqua/Bike awards. Relay Teams- teams are either 2 or 3 people who will each complete separate leg(s) of the race. One member will swim and then hand off the timing ankle chip to their biker and then the biker will hand off to the runner. Both hand offs must be done inside the bike transition area. The ankle chip must be worn on the ankle and not carried. The ankle chip must be attached to the ankle before leaving the bike transition area. Relay teams compete for Relay awards only. Awards will be handed out at the awards ceremony following the race. No award will be mailed automatically. For a fee of $12, we will mail your award upon your request. 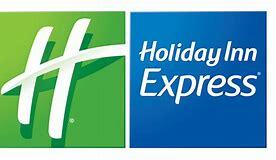 Racine MultiSports is pleased to have a partnership with the Holiday Inn Express. Booking must be done by phone to receive the discounted rate of $94.00 (normally $139.99).